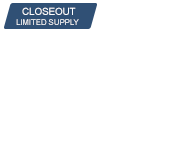 Exclusive Team Edition color only available through KTM. 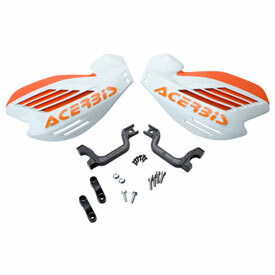 The X-Force is the newest addition to Acerbis’ off-road hand-guard line-up. The X-Force is particularly versatile and provides maximum protection against stones, hits and inclement weather conditions. The X-Force features a universal mounting kit allowing the hand-guards to be mounted above or below levers. The included spoilers allow the hand-guards to be mounted with or without ventilation. Made in nylon and polypropylene. Also includes spoilers to give the vented guards full coverage if desired. Great Handguard that I would buy again. 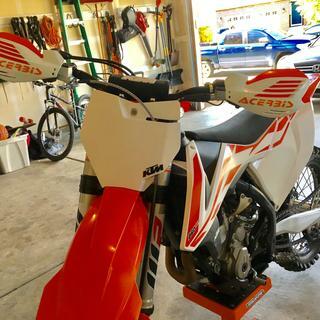 The only reason I didn't give it a 4 is because the "Acerbis" Logo is a different orange than the Spoiler and the KTM Orange on the bike. Not a big deal, and I'm used to it now. They look and work great! They aren't going to save your levers on a hard crash. However, they do a decent job of deflecting debris and small branches/ brush. If you aren't going to get bark busters then these are your next best option. Will these work with wrap around bars?? BEST ANSWER: These will not work with wrap around bars. They are designed for the flag style mounts.